Pakistan has not been able to stay out of the spotlight for the past few weeks. After a tumultuous election, won by newcomer and former cricketer Imran Khan (who needs to form a coalition government to be crowned the country’s new prime minister), it emerged this week that the country is in dire straits economically. The agelong answer for the South East Asian country: knock on the door of the IMF (which is primarily funded by the US taxpayer). However, knowing that the monies provided will mostly be used to pay back Chinese loans, the US state department is not keen on signing off on such a move. Of course, Mr Khan was not necessarily aware of how precarious the situation had become until his new finance minister informed him. During a victory speech this week, he admitted: "Pakistan is facing the biggest economic challenge in the country's history." Related coverage: <a href="https://thegoldwater.com/news/32571-Trade-War-New-European-Commitment-To-Instantly-Purchase-US-Soybeans">Trade War – Europe to purchase US Soybeans</a>. Furthermore, it wouldn’t be the first time Pakistan goes cap in hand asking for money from the IMF; it has done so 14 times since 1980. Just in 2013, it received a $6.7 billion three-year loan program. However, given the recent trade war tensions between the US and China, the former does not feel too much about signing off on a new loan. In fact, US Secretary of State Mr Mike Pompeo made it very clear that although the US would warmly receive the expected new PM, Mr Imran Khan, as far as he was concerned there was "no rationale" for an IMF bailout which the US State Department believe would be used to pay off Chinese loans to Islamabad. Mr Pompeo: "Make no mistake - we will be watching what the IMF does. There's no rationale for IMF tax dollars - and associated with that, American dollars that are part of the IMF funding - for those to go to bail out Chinese bondholders or-or China itself." Related coverage: <a href="https://thegoldwater.com/news/32027-US-China-Trade-War-Who-Are-The-Unexpected-Winners">Trade War – Who Are The Unexpected Winners</a>. 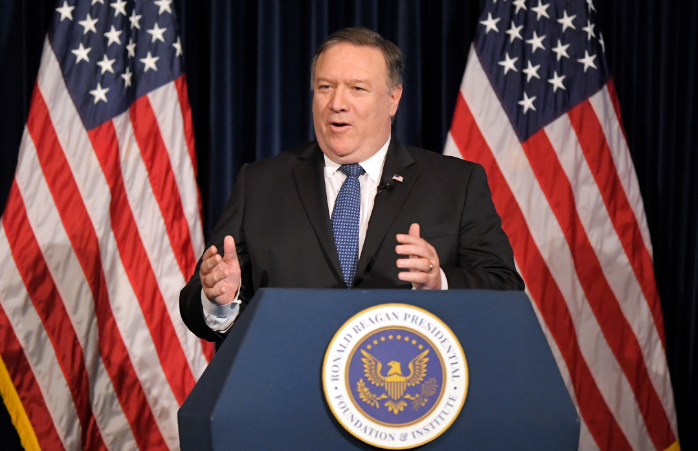 The US secretary of state's remarks was not welcomed by the Pakistanis, who have seen their relationship strained since the arrival of US President Donald Trump's administration. Mr Ikram Sehgal, a defense and security analyst in Islamabad, claimed that: "The US generally tries to influence the economy and politics of developing countries." He added that given the trade war which will make its effects feel as from the fall, large developing nations like Pakistan, which has a population of 200 million, would come under growing American pressure to steer clear from Chinese influence (and thus loans) and side with the US instead.